Prepare to be bewitched by the latest offering from a well-known and loved Aussie brand. 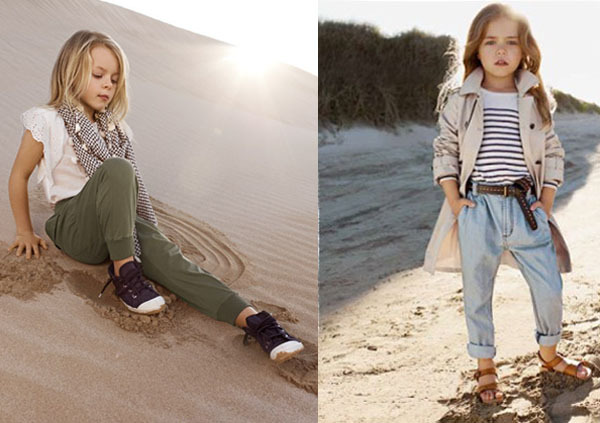 Witchery is branching out into up-to-the-minute tailored childrenswear. Its breakaway label, WitcheryKids, spruiks the latest adult trends in miniature for boys and girls aged two to nine and I’ve fallen under the spell of these cool and contemporary clothes. You’ll have to forgive me for indulging in the boys’ clothing for just a minute, as I have one little man and another on the way, but the big selection of gorgeous shorts has caught my eye. Your mini man can go from ultra-modern cool in the crinkle denim shorts to backyard, sand-pit-ready in the slouch knit shorts. Cotton terry cloth never looked so good! Not to be outdone in the accessories department, boys can bling up their outfits with scarves and peaked caps. And if I had a girl, I’d be hard pressed to stop at just one of the beautiful dresses on offer. The Josephine dress is sure to be a party favourite, in eye-catching coral. Team it with the oyster sparkle cardi and bow ballet flats and your little miss will be the belle of the ball. There’s a huge selection, with everything from formal party wear to everyday, knockabout essentials. The clothing reflects current adult trends and is a departure from cutsie clothes to a more sophisticated style but with a playful edge. Since launching the line the company says it’s been overwhelmed by the demand for WitcheryKids and plans to open another eighty stand-alone stores to add to the eighteen already in Australia and New Zealand. If the pre-Christmas rush means a trip to the shops is too much to bear, you can always indulge in the WitcheryKids wardrobe online.